The Hon Treasurer – CCOW 64 Saffron Road Bracknell RG12 7BS. Email the Treasurer for information about how to make a bank transfer. We are always grateful when people Gift Aid donations, as that helps us to receive more funds. You can download our Donation and Gift Aid Form here. The most effective way for you as an individual to help fund CCOW regularly is through your bank or charity account using a standing order. Please contact the Treasurer for further details. Would you consider leaving a legacy to Christian Concern for One World in your will, to ensure that our work can continue in years to come? If you would like more information on how to do this, contact us at info@ccow.org.uk. Could you join in one of our fundraising events, or hold one of your own? Each year, we hold an annual ‘Walk with CCOW’ – a gentle ramble of 5 (short version) or 10 (long version) miles followed by lunch in a country pub. We’ve also held a sponsored Carol Sing, joining together for a marathon of participants’ favourite carols, and are looking forward to a charity concert. 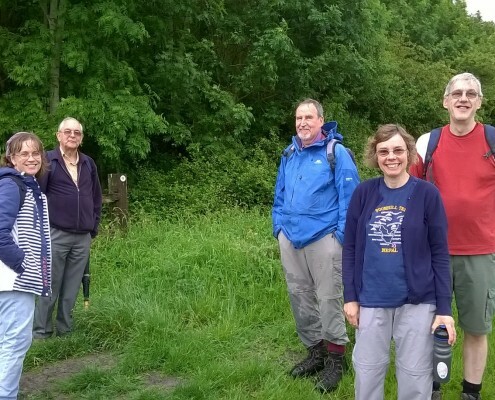 Our next walk is on 7th July in the beautiful countryside around the Kennet Canal. Do join us: you can register here. We’re a very friendly lot and all are welcome. If you want to find sponsorship, that’s great. But if you just want to come and make a donation, that’s lovely, too. And we’d love for you to hold events of your own – whether walking, running, singing, selling cakes … whatever inspires you! Get in touch via info@ccow.org.uk if we can offer any support.